There are many people who tell me they envy my life. They love the freedom and adventure of it, they say. They tell me the stories and ideas and conversations are so interesting. I am lucky. My days are filled with interesting people, and discussions about passion, and it’s been a long time since I’ve faced the indignity of a timed restroom break. All that said, I think there are some things that are hard to convey. A person who is following their passions and living some version of their dreams doesn’t want to complain, and it’s hard to explain anyway. There is a lot of loneliness involved. Sometimes, I wonder if today’s world of personal brands only amplifies that tendency. In reality, while I have “no boss”, I have a lot of bosses. I don’t always set my schedule, and often when I want a meeting, everyone else is at work. Some days, the routine of an office job and a regular paycheck sounds as enticing as it is elusive (I’m just not wired for it, but I’m jealous of people who are). 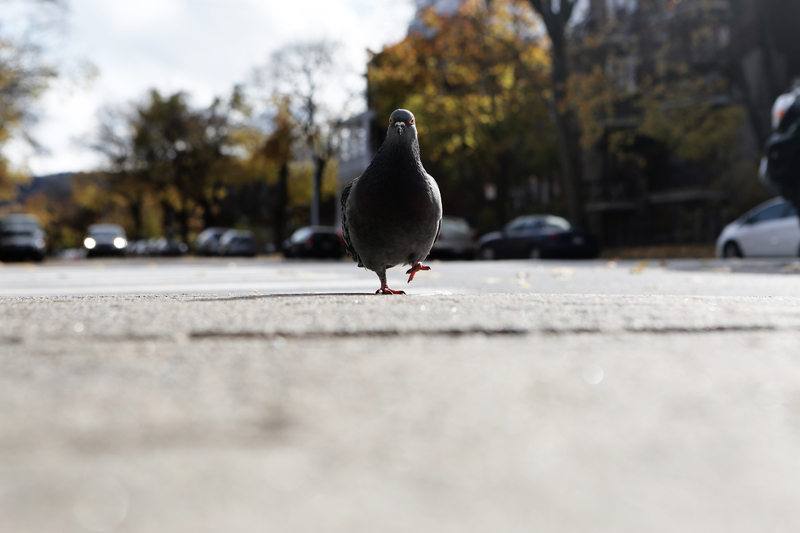 This is a picture of a pigeon, because blogs are supposed to have pictures. It’s in the rules. All of those things are lonely. They are the late-night mullings, the space-staring thoughts, and the drive-time ponderings. Maybe you can identify with them, but even if you can’t, I encourage you to think of them when you see someone trying to build or striving to make a change. And, it’s because of these things, as well as the amazing heart and ideas of the people that often face them that I encourage you to check out the #Solvey participants. They are people trying to change the world in tangible ways. There were a lot of them, I know, but if they are anything like me (and they must be, right?) even a kind word can be a huge encouragement. Not to mention the enormous courage it takes to admit that something matters to you, and not just any something, but something bigger than you can approach alone. Even if you only have time and energy to watch a single video or send a single supportive tweet, please do.